Gondar Diaspora, it ain’t a sleeping giant no more. Empire of Japan. December 7th, 1941. I deliberately chose to use the title similar to “awakening a sleeping giant” because of its application to the enormity of the Gondar Diaspora. I want to make it clear that it is not intended to liken Gondar Diaspora’s potential to the historical significance of the event. Just to put it in perspective, as most of you probably know, USA was not a direct warring party until the tail end of WWII. This neutrality was a result of President Roosevelt’s pledge of the United States to the "good neighbor" policy. The policy was also a result of the then commanding General (later President) Eisenhower’s relentless resolve that United States should remain independent and not get involved in WWII. But in October 1941, Hideki Tojo became Prime Minister of Japan, and the Japanese Navy Commander Yamamoto was ordered to prepare for an attack against America. Notwithstanding President Roosevelt’s well intention, on December 7, 1941, the US was drawn into war as the result of the surprise and unprovoked attack of Pearl Harbor, a US territory, by the imperial nation of Japan. Regrettably, the attack unleashed by the Kamikazes-a Japanese navy on a suicide mission-was very precise and had a shocking effect and a devastating outcome. Hundreds of US Navy service men were killed and several warships were destroyed. Upon receiving word about the mission’s success, Admiral Yamamoto is said to have made the above quoted statement. Interestingly enough, Admiral Yamamoto had attended Harvard University and had served as Naval Attaché to the United States. Though Yamamoto was very well aware of the vast power of the US Navy, he, nevertheless, had developed a disdain towards it. Coincidentally and falling short of meeting Yamamoto’s plan, Japan did not totally destroy all of America's aircraft carriers as some of them were out at sea. But indeed, Japan had awakened the sleeping giant (US), and the giant retaliated as it has never had before, and most probably, as it will never do again. Shortly after, suffice it to say, Japan surrendered. As for Admiral Yamamoto, on April 18, 1943, using a decoded intelligence, the Americans learned that Yamamoto was on route to visit the Solomon Islands. American fighters from 339th Fighter Squadron were dispatched immediately. They intercepted Yamamoto’s Betty bomber plane and shot it down and killed him and all others on board. 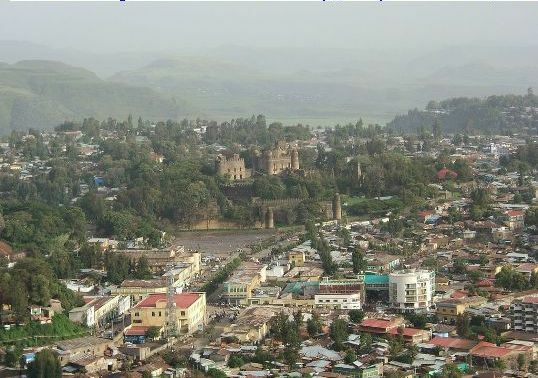 Comparatively speaking, the Gondar Diaspora is a giant population as opposed to the rest of Ethiopians who came from other regions. By some conservative estimates, the population is projected to number more than 40%, and sometimes even up to 60% of the total Ethiopian Diaspora. It is worth mentioning here that almost all the Falash Mura in Israel emigrated from Gondar. 1. Defeat the hideous and extreme right wing minority Diaspora who are hell bent to ascend to power by violating our constitution. They have to be defeated as there is no alternative to peaceful power transition, no matter how long it takes. 2. Lend our financial, moral, and other needed support to opposition and incumbent political parties who are fully committed to bring about a democratic political system through the constitutional means and parliamentary legislation, no matter how long it will take. 3. Contribute to a fund to be managed by us to further improve the standard of living of people in our region, and to lobby the Ethiopian government and business men and ask them to consider giving priority to the development of our region. I better get started right now: Sheik Alamoudi, are you out there? Ya WoD BeLeDy. AleIk AllaH, TaALa MaANa. NeHiNa BiNHiBeK KeTiR Wa NaShKuReK JeZiReN. Addis Ababa is behaving like a rich man’s child, you have spoiled it rotten. It is enough already, time to come up North. Before I go into detailed discussion, I like to ask you, dear reader and concerned citizen, to bear with me as I take a few minutes of your time to explain some misconceptions about my identity. Just because I very much need Ethiopians to look beyond this juvenile ethnic identity argument, I recently considered using my given name to publish my articles (Zeraf, Akaki Zeraf). But at the reasonable advice of some of my friends and relatives, and because it may ruin the element of surprise, I decided against it. For those of you who like to engage in playing a detective, I have already written a brief biography on my previous article titled “Gondar ain’t your mama’s fool no more.” To expand on it, I tell you, it won’t be an exaggeration if I were to tell you that among the late 30s and early 40s age group Gonderies in US and Canada, more half of them know who I am. I want my people to seriously consider a nonconformist and a dissenting voice. Tough most of you agreed with the sincerity and truthfulness of my views, as I said, some of you simply failed to take issue with the points I raised and consistently dismissed my arguments on your erroneous, and sadly hateful, account that I may be from Tigrai. I cannot believe the Ethiopian Diaspora politics has climbed on to a steeply descending spiral and ended down in a cesspool. It is heartbreaking to watch the contemporary Ethiopian political drama being played on such ethnically polarized stage. This distrust in and of itself asserts what I have been saying all along: most of the CUD supporters have been duped by the extreme rhetoric of the guttural minority and have become bigots. Nevertheless, I sometimes have to play by the opposition’s rule and discuss my ethnic identity. And I hope what I have told you so far clarifies any misconception, and puts to rest, once and for all, issues revolving around the independence of my thought, my ethnic identity as a Gondar Amara, and the accusation labeled against me being a mouth piece of EPRDF. I am not, I repeat, I am not a member of EPRDF. Scouts honor. That is the truth, and nothing but the truth. Now, let us go back to the intended message of this article. I believe, the problems I am going to discuss, the reasonable explanations I provide, and my suggested solutions are of a significant importance for our future survival as a people and a nation. As such, they require the undivided attention of my fellow Gonderies. In the final analysis, I hope, you will agree with me and you will wake up and work towards meeting the three objectives I above outlined. I ask a favor of you; whether you agree or not, please help me disseminate this articles as much as possible. Please make a print out and distribute these articles in your respective town of residence. I also give anyone my copy right consent to translate and or publish my last two, this Part I, and the next follow up articles in the same subject line. It is well known that, along side with our fellow Ethiopians, we have been engaged in battles and wars for the unity of Ethiopians as far as we can remember. Thanks to all who paid the ultimate sacrifice, now that we have tasted the fruits of peace and freedom, we have become keenly aware that there is no substitute to a peaceful discourse. If we are to leave behind, since all of us are not getting any younger, a lasting legacy of peaceful coexistence, then we need to work to bring change within equally applicable democratic principles and through peaceful mechanisms. The alternative is not only worse, but it is also a guaranteed approach to put at risk the future existence of united Ethiopia and to condemn our people in perpetual misery for generations to come. Because of the stubborn attitude of both the opposition and the incumbent party, and mostly the hateful propaganda employed by the opposition, we have lost sight of “the light at the end of the tunnel.” My major concern right now is that EPRDF may increasingly become stubborn, and worst case scenario, it may reverse course and Ethiopians will be right back where they started 30 years ago. To avert this likely scenario, we should patiently work through the system to bring about a peaceful change, no matter how long it will take. We know we have problems with the current government, who on earth doesn’t with its own government, but we need to do soul searching and ask ourselves some serious questions: is our difference grave enough for us to risk everything we have gained and run to the bushes to start an armed struggle? Is our disagreement irreconcilable that we have to encourage children to go out onto the street and engage in confrontation with law enforcement? Isn't it better to work patiently and diligently to bring about a peaceful social change, no matter how long it takes, and no matter how corrupt we think the current government? I am not here to defend EPRDF or its leadership. All of them are more than capable individuals to articulate their defense. But I am here to give you my own personal opinion and my take on issues and offer you suggestions. And most importantly, I am here to tell you that I abhor hate politics, I am standing guard to counteract inflaming sentiments of opposition supporters, and I am going to try to give advice to my fellow Gonderies not to become collaborators of hate unknowingly or subconsciously. I understand some of you hold grudges against the Prime Minister Zenawi’s unvarnished way of public speaking. And sometime, I have to admit, I myself would have preferred him using a little more diplomatic words. But I understand him as well, because, sometimes, I myself feel like using similar words when I engage in discussion with my fellow Ethiopians. Ask yourselves, what would you do if others constantly point a finger at you and call you names and insult your entire ethnic? Most of us face difficulty leading a single family household. What would you feel if your spouse never appreciates a single thing you have done for the last 14 years of your marriage? I assume, the Prime Ministers problem becomes exponentially difficult since he has to lead millions of poor families and tens of different ethnic groups with multi-dimensional problems, deal with an admitted aggressor neighbor, and make peace in troubled geopolitical region. And no matter what he does to deal with these many complex problems; the right wing opposition never utters a word of encouragement, and instead constantly barrages him with hateful judgment. I also do not think we should violently rise because he allegedly said that the Ethiopian flag is “a piece of rug” or he allegedly made a critical remark against Amaras a long time ago. I understand our flag is the embodiment of our people and our nation. But no matter what we feel about the past, we need to pass judgment on what we see here-and-now, and leave the past to history books. And I think the here-and-now EPRDF has come a long way from what it used be when it came to power. And as for Ethiopians current state of affairs, not withstanding what followed the CUD debacle, and certainly unlike our neighboring countries, the Prime Minister has kept whatever is left of Ethiopia in unity and continues to lead a functioning government. Think about the Federal arrangement for a moment, even with all the decentralization of government and liberating ethnic groups to use their own language and so forth, some are still not satisfied and are engaged in a battle to further liberate themselves. What would you have done to thwart the past and present secession movements to avoid future problems? As for the Eritrean secession, in my opinion, it was a moot issue by the time EPRDF came to power. I agree, though, EPRDF should have attempted to delay the official recognition at least until the government gained a permanent status. And I wish, whatever Mr. Afeworki promised to give Ethiopians access to the sea, Mr. Zenawi had asked for a written guarantee instead of taking his word at its face value. But at least, on the bright side, we still have the rest of unified nation, and we are importing, at never seen before level, goods through Djibouti and Somalia ports. It is Eritrea’s loss not to let us use its (our) ports. This is not apocalypse now, but I believe, if the opposition continues on its current discourse, our worst nightmares may come true. Just to give you a dose of reality, EPRDF came to power after a 17 year long and violent struggle. If we engage in hate based politics and violently try to depose the current government, I sincerely believe, we should not doubt EPRDF’s readiness to take a decisive action. And the repercussions of EPRDF’s measure will forever scar our people and our nation. I am sure you understand what I mean and I see no need to scare the day light out of you with details. Even if we were to succeed, I do not believe the opposition would neither stand up to the responsibility of keeping the nation united nor do I believe the other Ethiopian ethnic groups will give the opposition a chance. They are all most likely to invoke Article 39 and will go their merry way. How are we going to stop it? We won’t even have the “Agazi” forces to help us. That is the current reality, my brothers; we will need a visa to cross through Addis Ababa or Mekelle to get to Gondar from here. Even that is assuming we will have friendly relationship with our neighbors. 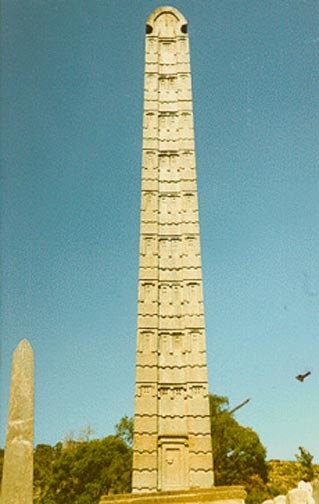 Please do not give me the tired and old story about Ethiopians living in harmony for 3000 years and this disintegration talk being a “Woyane” propaganda. Because, I honestly tell you my brothers, that I do not get the impression we are harmonious right now nor do I get a warm and fuzzy feeling when I discuss the past century with my fellow Oromos, Tigraians, and other, may be little known to you, nationalities. Just do not take my word for it. Have you visited restaurants or Starbucks coffee houses and engaged in political discussions lately? Have you listened to some local Ethiopian TV and radio mediums lately? Have you talked to your family members in Ethiopia lately and asked them about the current situation? Have you read discussion in some websites lately? You know, I speak a more than conversational Tigrigna, and I see people getting perturbed and reacting differently towards me. Those who know me, of course, wonder how I learned the language. I tell them I learned it in the Sudan, when I had a day off from my work as a house maid to a large Sudanese family, I use to read a horror fiction by Stephen King, one of them was titled Carrie, and use to try to translate what I read into Tigrigna to my neighbors. That is how I learned the language. I tell you, it is an eye opener to speak other languages. When you speak their language, people to trust you and tend to freely share their ideas and their feelings with you. I am not afraid to befriend and make conversations with our brothers and sisters from Tigrai, or anyone else for that matter. I encourage you to do the same. You will be amazed how their concern, fear, and future vision of Ethiopia resonate with ours. I ask you to sleep on this until I continue with Part II. I plan to discuss more about the current situation, the alleged pillage of Gondar, boycotting businesses including Dashen Brewery and Pepsi, cronyism in our government, Tigraians holding all position of authority, and the annexation of Humera and environs into Kilil One. And most importantly I will expand on strategies to meet the three objectives above outlined. God bless Ethiopia and our people. If need be, I can be contacted at dnasmara1@yahoo.com. Tigraionline is a truly Tigraian web site, with an Ethiopian perspective and attitude. Here you will find the most up to date news from the horn of Africa and links to very helpful web sites enjoy. Tigrai Online is privately owned independent Web site that does not have any affiliation with any single organization, represent any entity or party. Opinions published on this site are those of the authors and not necessarily those of Tigrai Online. Links are provided to third party web sites solely for your convenience and not because we endorse the contents on those sites.